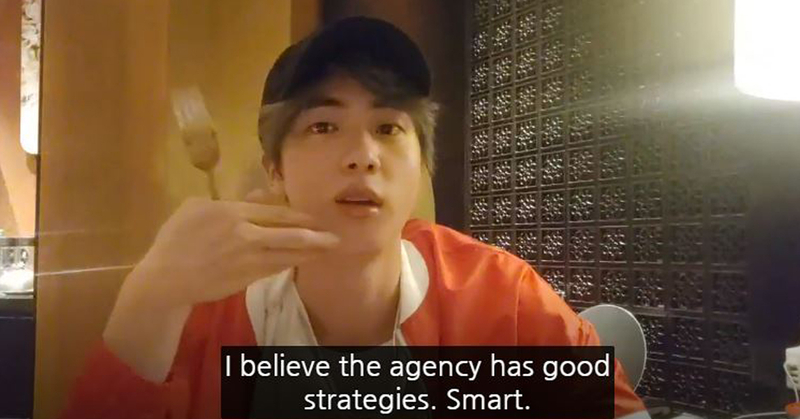 Reason Why BTS JIN Called BIGHIT "Smart"
BTS's Jin expressed his opinion on BigHit's artist management strategy. Recently, Jin held a live broadcasting on V Live. He talked about a number of different stuff for roughly 40 minutes. 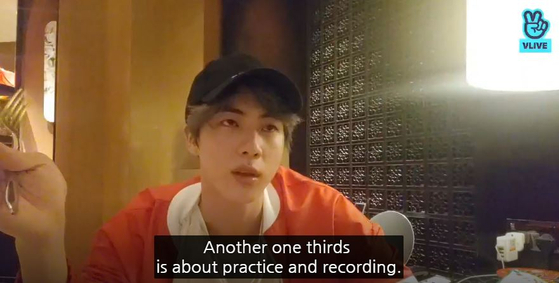 Among them, Jin's response to one of the questions he received caught the viewers' ears. When asked about BTS's new album, he kind of hesitated to answer to all of what fans were curious about since he didn't want any spoilers and he also didn't get permission from the management to reveal anything album-related. 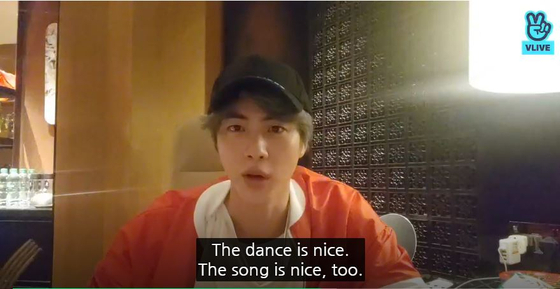 Instead, he said that the choreo and the songs are all good but he doesn't know how the music video is since it hasn't come out yet. He also added that there's something special. 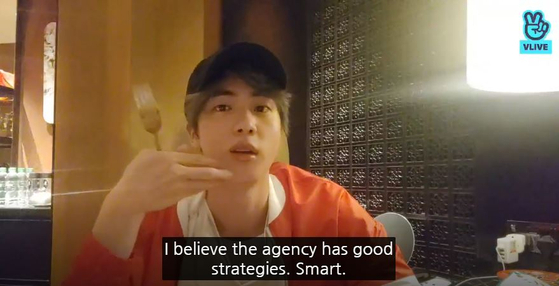 Jin delivered a positive remark as to the way BigHit takes care of its artists. He said, "The company allots one third of the schedules to profitable things and another one third to music related things such as practicing, album photoshoot and music videos. And the rest is dedicated to other things such as our vacation and creating contents for ARMY. I think that's why the quality of our album is good. The management has a good strategy. They are smart". A lot of fans showed agreement to Jin's positive remark on the company's ability to manage schedules. 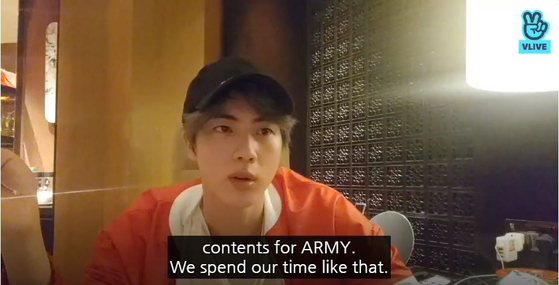 Some fans said, "How they invest their time into making contents for fans is so pleasing because they could've done other things that they can make lots of money from instead".